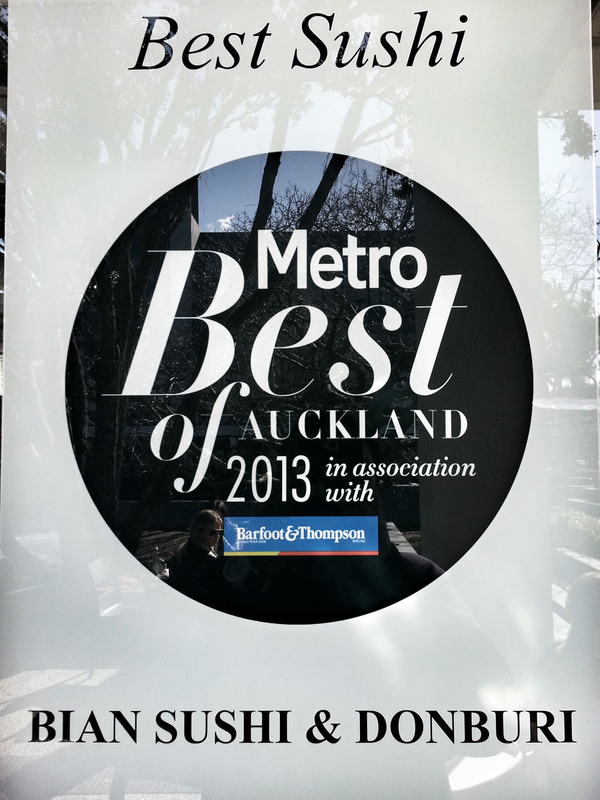 We accidentally stumbled upon this place when we were hanging around Takapuna area, hungry after some window shopping we saw this sushi place proudly displaying the Metro Best of Auckland poster where they were awarded in the Best Sushi category. Initially we were thinking of eating something apart from Japanese as we had some sushi a day before but the poster that we saw changed that, so we dined in for some light snack. Tucked in the middle of Hustmere Road just in the park at the rear of the Strand was this small sushi shop. There were few tables inside and few tables outside, al Fresco style, we took the tables outside as it was sunny with some light breeze. 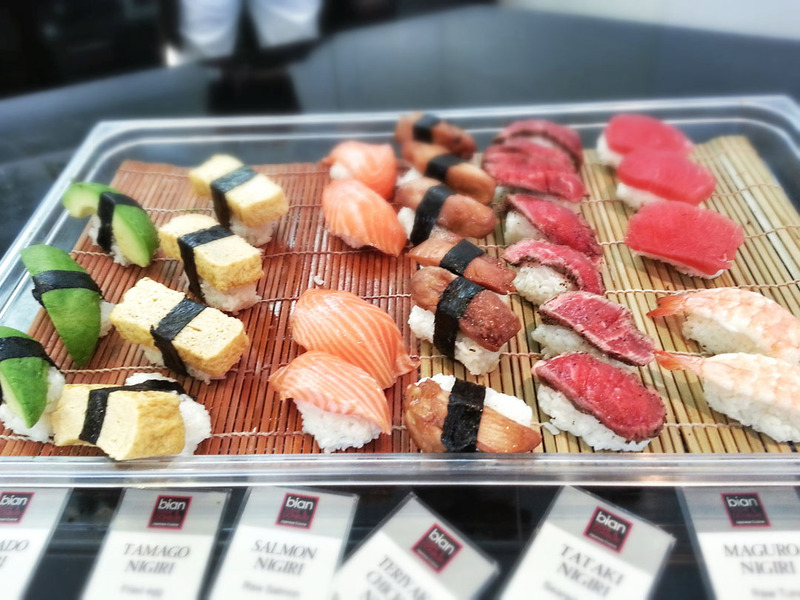 As we go in, the sushi are all displayed in the counter together with other fried items like tempura and okonomiyaki. 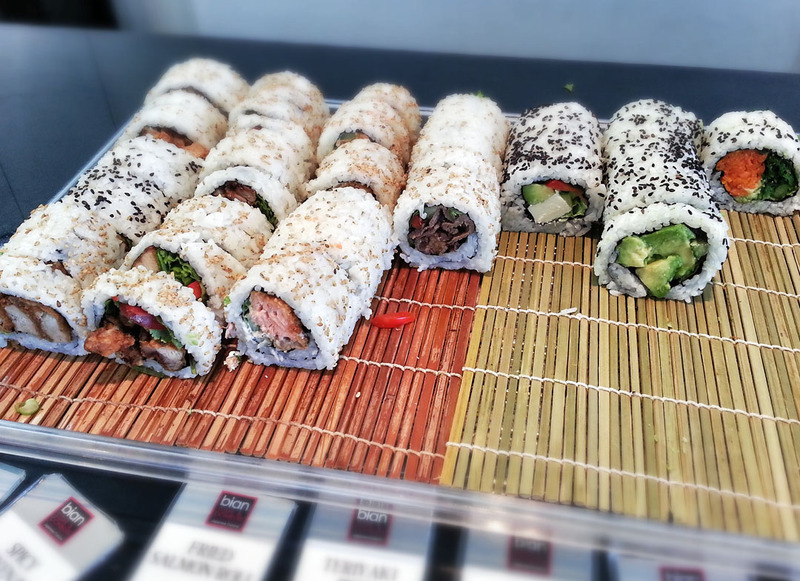 There were four or five trays of sushi and it is always replenished as you grab some. We know it’s freshly made as we saw the sushi chef preparing it as get some from the tray. You see how vibrant the colours of the seared and still juicy beef and avocadoes, it’s a good sign that this are all fresh. I did not have a photo of the fried stuff but I ordered some okonomiyaki ($3.00), there were some takoyaki as well. 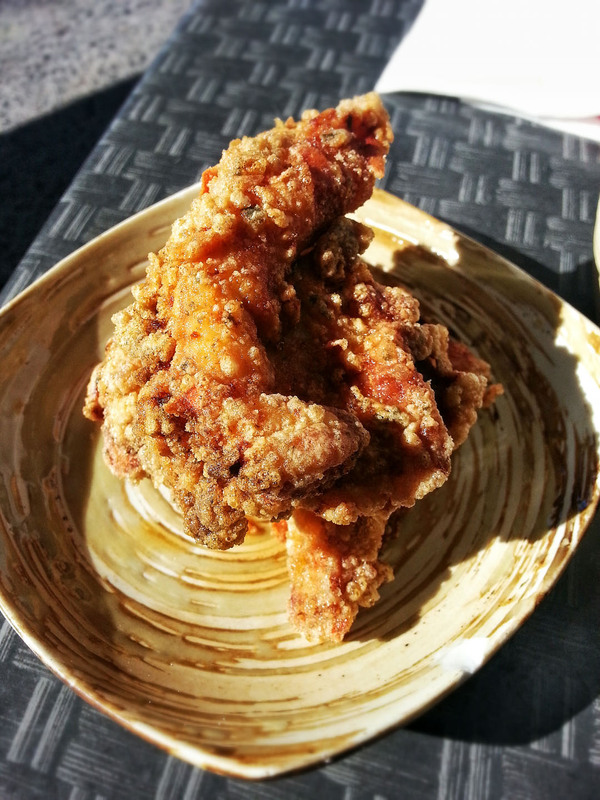 And another one was this Spicy Chicken Udon where it is served with some crispy fried chicken on the side. The chicken is amazing, love how crisp it is. Both costs $13.00 for regular and $8.50 for the small one. The ones we had are the small ones. Now what’s the verdict? I guess the poster speaks for itself the sushi tastes great I just don’t like the fact that the size was inconsistent, some are in thick slices and some are in slim slices, but on the other hand you know it’s made by human and not sliced and prepared by a machine. 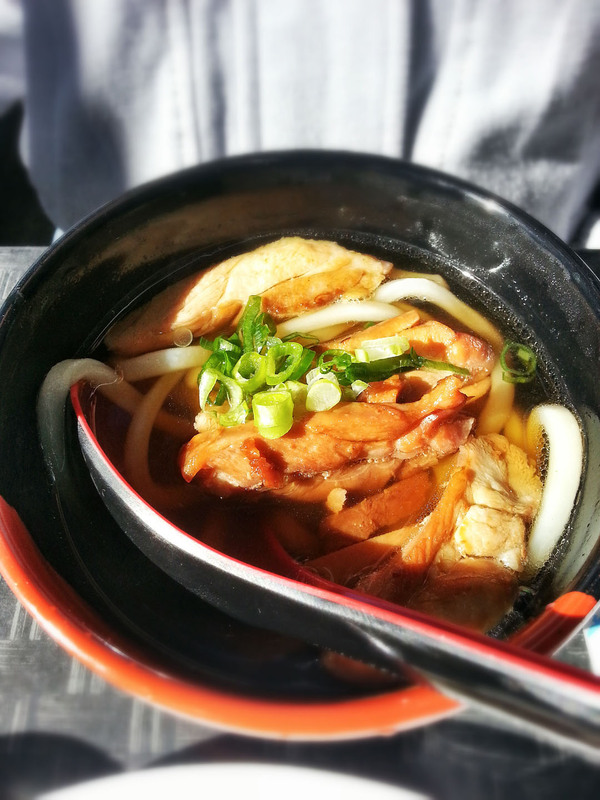 I am also surprised that they did not win the udon category (if there is such award) as their udon tasted amazing! In fact it’s so packed with flavour and it’s so addictive, me and my wife really liked it and until now if I remember the day we had them I start to drool. 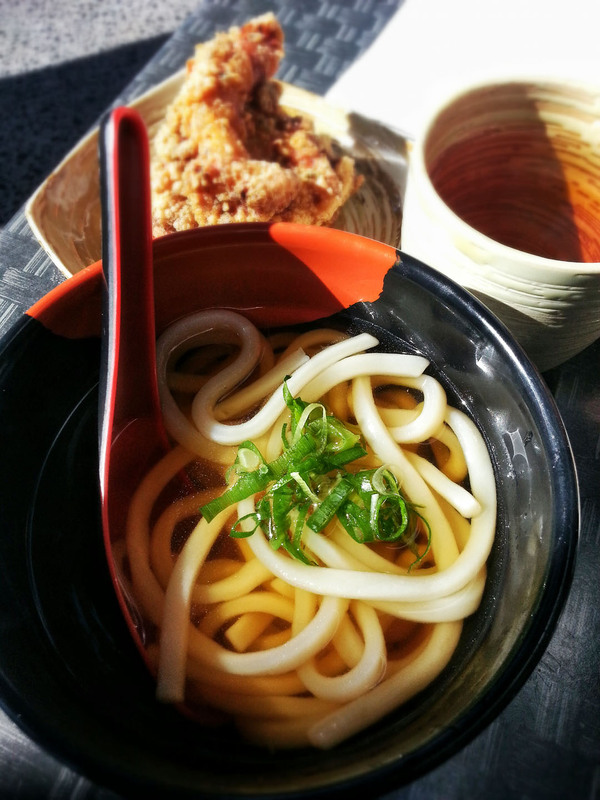 So if you pass by Takapuna and want some light snack try this sushi place, it’s highly recommended specially their udon. I love sushi and this place looks really good. Very nice displays and presentations here! Warm greetings from Montreal, Canada. I am probably one of the few who has never had sushi. Interesting, you’re the first one I heard that never tried sushi. Thanks for stopping by. Oooo…what a coincidence! My blog post today is on Japanese too! Yours looks great – is it some kind of buffet thing and you can just pick what you want? Here, there are places with the carousel – you just pick the plates of sushi you want – they will charge later based on the colours of the plates. 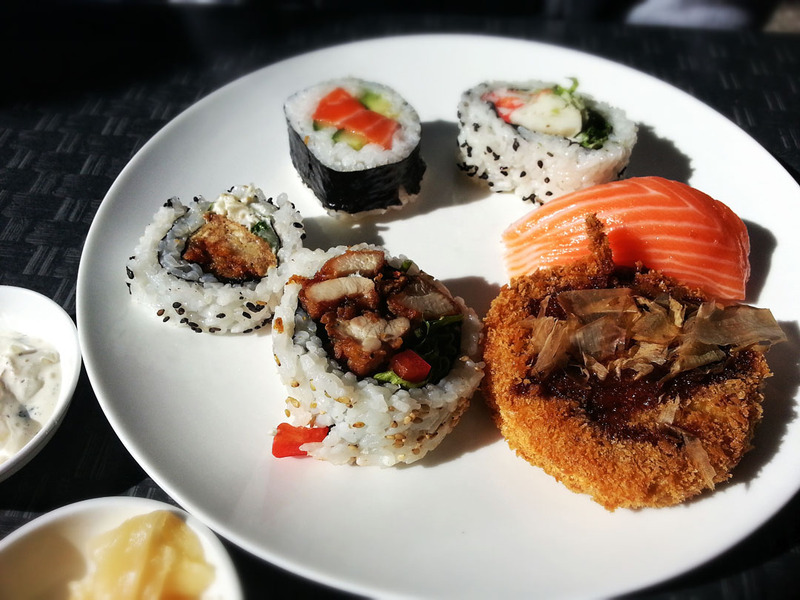 Have you ever came across a buffet sushi in Auckland? 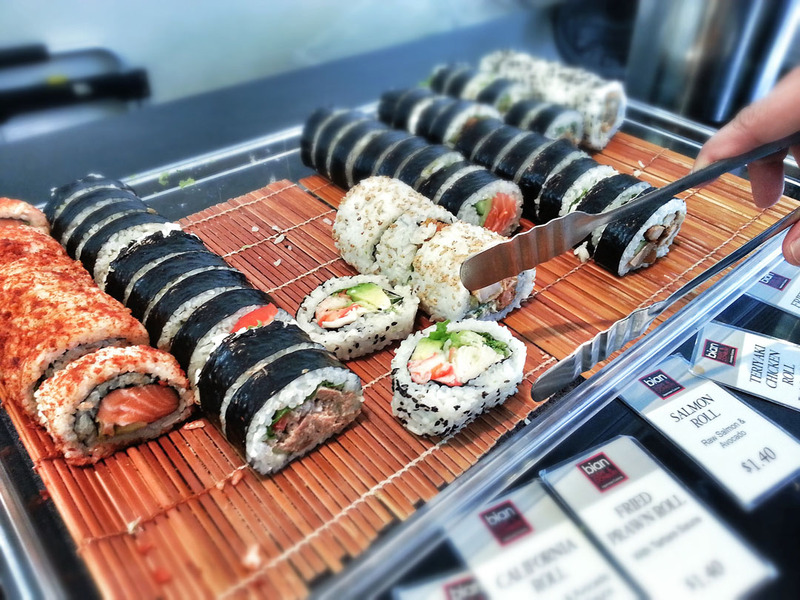 Oh My 🙂 I adore Sushi….. this photos have made me so hungry, wonder why they had inconsistencies with the slices of Sushi.